Hey everyone! It's Katie from Addicted 2 DIY and today I'm sharing one of the simplest ways to update your home on a budget. 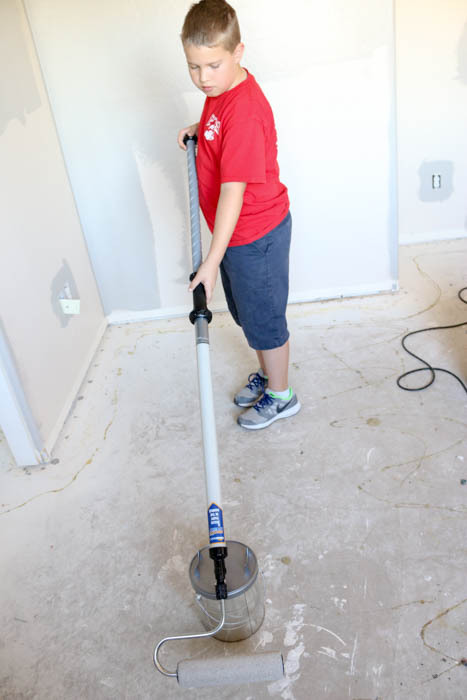 We all dream of transforming our house into a home by making changes here and there, but sometimes the reality is that it is just too expensive to do a full-blown renovation. 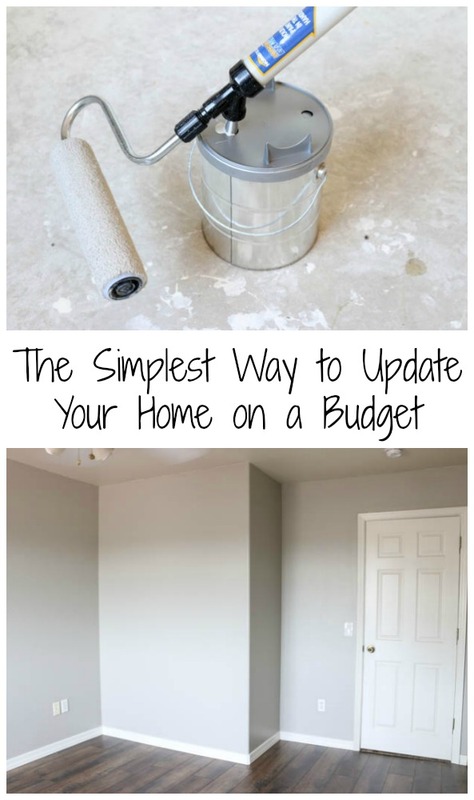 Making improvements on a budget is a challenge, but it can be done! One of the most dramatic, and cheapest ways to update your home is with a fresh coat of paint. It's truly amazing how something as simple as paint can completely transform a space or even a piece of furniture. I've been slowly updating my house with a fresh coat of paint and new baseboards throughout. It was a task that I put off for a long time because it felt so daunting. 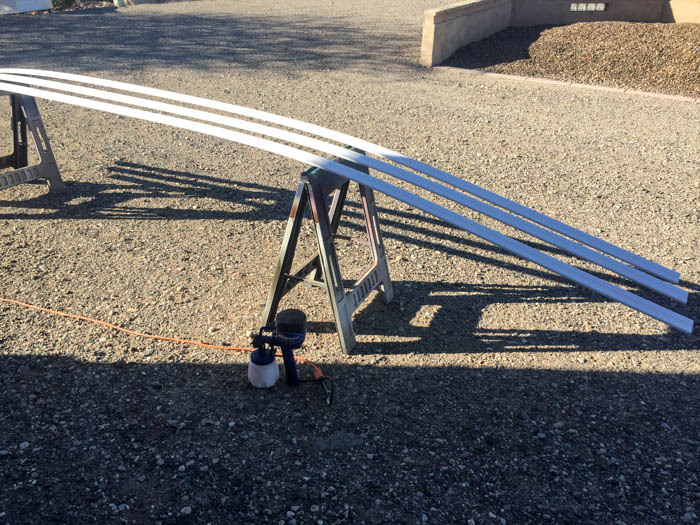 With my HomeRight PaintStick EZ-Twist and Finish Max the task is so much faster and easier. I'm currently remodeling my office and part of the remodel involves new paint, flooring, and baseboards. 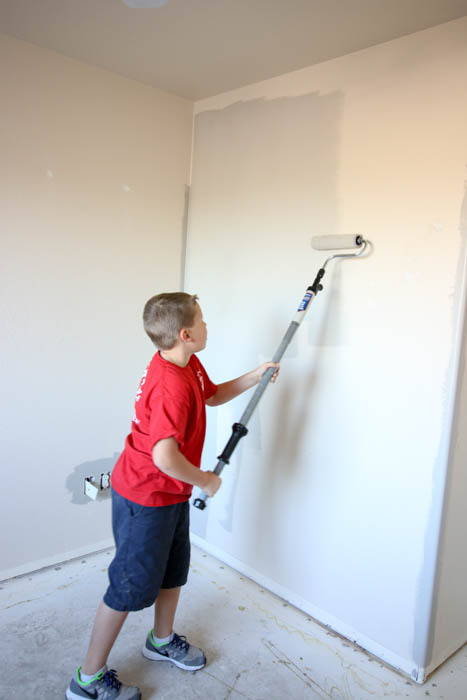 My 9 year old decided to help me paint the room and it was so easy for him to do so. The PaintStick EZ-Twist holds all of the paint in the handle, so you don't have to worry about messy paint trays and dripping paint all over the floor. The paint gets drawn into the handle straight from a gallon bucket of paint. There is also a 5 gallon bucket accessory that can be purchased for larger painting jobs. Holding all of the paint in the handle also means that you don't have to stop as often to refill the roller. You can just keep going, which speeds up the process. Waiting for the paint to dry between coats is the part that takes the longest when using the Paint Stick EZ-Twist. 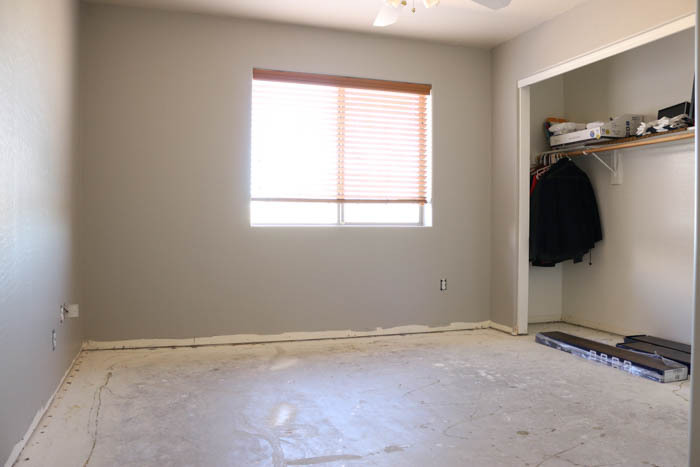 In no time at all, you can have an entire room painted with a beautiful new coat of paint. If replacing baseboards is also on your to-do list, the HomeRight Finish Max makes painting them so much easier and the finish is amazing. You can even repaint doors like a pro! 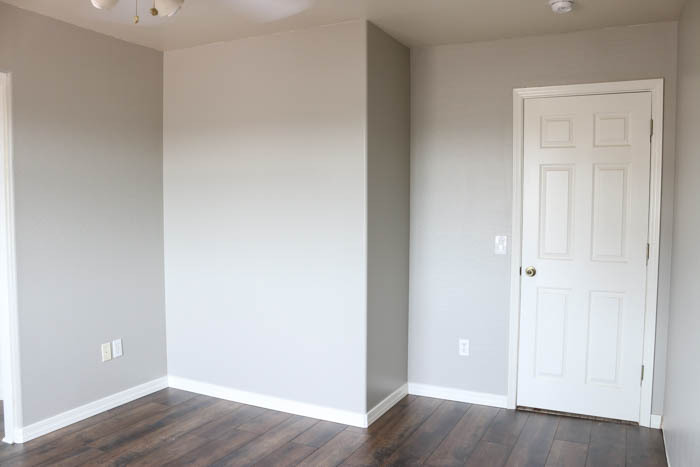 It's amazing how different a room looks with fresh paint and even baseboards. It's a relatively small cost that yields a big impact. The paint color in this room is Mindful Grey and the trim and door is Swiss Coffee.